It’s a no-brainer that motivated sales teams enjoy their work more and do their work better, resulting in a healthier bottom line. However, achieving this doesn’t come from cracking jokes all day (What’s the best way to stay happy at work? Take longer vacations!) and expecting morale to be high. Indeed, happiness at work can be elusive, yet there are numerous practical steps we can take to encourage it. 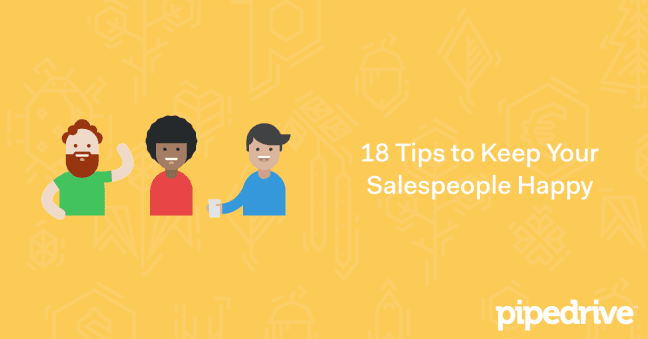 Here are 18 ways to motivate your salespeople and keep them happy, all sourced from articles published this year in places such as Entrepreneur, Fortune, Business Insider, Fast Company and The New York Times. Focusing on sales results alone can be stressful, especially considering that as a salesperson or sales manager, you can influence yet never control results. You can control the inputs that have the highest positive effects on achieving your goals — your activities. For instance, you can control whether or not you make a sales call, and you can control what percentage you talk compared to listen on that call, yet the prospect’s decision to buy or say goodbye is entirely up to him or her. Sales Motivation Tip: Motivate your sales team by encouraging them to build their schedule around key sales actions. Focus on the means, and the ends will come. An important determinant for happiness on the job is whether you feel appreciated for your work. Many of the articles curated for this article (for example, Canadian Business, Fortune, Business Insider) highlight appreciation as a cornerstone of any organizational strategy to encourage motivation at work. Don’t just celebrate big milestones, celebrate the small ones, too. Tell employees you trust them, then back your words up by showing employees you trust them. Have an open door policy to encourage transparency and openness. Every month have an “appreciation day” for a standout employee who doesn't necessarily have that month’s best sales. Bhavin Parikh, CEO of a test preparation company, discusses employee happiness in Fast Company, saying that since we all love the feeling of ownership, it’s important to give employees a sense of ownership over their projects. Sales Motivation Tip: One way to do this is to “set a destination” (the goal itself) for your salespeople but trust them to “find the path” (to decide what work needs to be done to achieve the goal). Stefanie Daneau concurs with Parikh that a sense of ownership adds to employee happiness. Writing in Entrepreneur, she has some sage advice for leaders: share. Specifically, whenever a new project arises, a new team leader (not the manager) should be given primary responsibility for it. Daneau says giving every team member a shot in the driver’s seat builds a sense of ownership and team. Sales Motivation Tip: If you’re the manager of a sales team, what responsibilities can you delegate? Another way to look at this is: What tasks can you move off your plate that will motivate your team members grow? In The New York Times, Barry Schwartz explores how companies often strive for efficiency that, on the surface, should make workers more efficient. Yet such routinization and division of labor comes with the unwanted human cost of employees deriving less satisfaction from their work. It’s an often unrecognized trade-off: the goals of efficiency — and ultimately greater profits — come at the price of decreased employee happiness. Sales Motivation Tip: Be on the lookout for monotonous, routinized work. If you identify it, do your best to make it meaningful, challenging and engaging. Remind employees about the autonomy they already have. Sales Motivation Tip: What freedoms are your salespeople not taking advantage of? In Quartz, Jayson Marwaha says Medicare started using results from patient satisfaction surveys to calculate how much money to pay hospitals. This change led to hospitals improving the patient experience, yet resulted in changes that definitely didn’t make nurses happier. Discussing how happy caregivers create a happier patient environment, Marwaha’s article speaks volumes about the connection between happiness and how we shouldn’t just emphasize the importance of one group’s happiness yet neglect another group’s happiness. A survey conducted by Harris Poll on behalf of the recruiting and staffing provider Spherion backed this up. It found that 60% of workers noted that they’re happier when they see others happy at work. Sales Motivation Tip: Your sales team shouldn’t focus solely on your clients’ happiness. Keep in mind that if your team focuses on each others’ happiness, this will positively affect the client experience. As Spherion put it, happiness “brushes off” onto others. Luckily for us, Altucher provides some insight into how to over-deliver. He recommends that we shouldn’t give people what they expect — we should instead give them what they deserve. Sales Motivation Tip: Do you sometimes feel like we’re living in a world where you have to take whatever you can? If so, as Altucher says, a better approach is to flip that around and to give what you can. Ryan Harwood, CEO of PureWow, maintains that happiness is affected by transparency and honesty. An example he gives in Fortune relates to management making a big decision or implementing a new policy. Sure, some staff might agree with the decision or policy, but if management explains the rationale behind it, the staff is more likely to understand and respect it. Sales Motivation Tip: Have you recently made big changes to how sales are conducted? If so, did you not only get buy-in from your team, but also a sense that they understand the rationale behind the change? Chocolate and clips from a comedy movie were two things a research team called “happiness interventions” and “short-run happiness shocks” in recent experiments. Conducted by three University of Warwick researchers, these experiments tested whether they could “induce happiness” in their subjects. They found a link between human happiness and performance. Indeed, they reported that happier employees are about 12% more productive than average. While many workplace gurus extol non-financial drivers as being crucial to employee happiness, a regular paycheck certainly motivates a large percentage of employees. Three recent surveys by Spherion, SAP and the Society for Human Resource Management come straight out and say the No. 1 factor that motivates employees — and makes them happy — is compensation. But it’s not all about your salary, Jada A. Graves avers in Business Insider. Even if your salespeople are each pulling in six figures, there will moments in their careers when nothing matters to them as much as benefits your company provides, such as wellness programs, vacation time, nutrition counseling, child care assistance, vision insurance, employee discounts and so on. Citing a MetLife survey about benefits, Graves writes that employees who are satisfied with their benefits are twice as likely to be satisfied with their work. Sales Motivation Tip: What benefits are you offering your sales team beyond what the market offers? Perhaps pay and perks aren’t the be-all and end-all. Speaking about how a company doesn’t have to necessarily compete against what other companies in the marketplace are offering in terms of money and benefits, Laura Troyani, marketing director of TINYpulse, says how you treat employees on a regular basis — for example, positive workplace interactions — plays a key role in their satisfaction. Quoted in an Entrepreneur article, Troyani also mentions that saying “thank you” and explaining why you’re grateful go a long way in improving employee perceptions of the workplace. Sales Motivation Tip: In a way, gratitude as an elixir for happiness seems quite obvious. And yet how many of us get thanked enough for all our hard work? On the other hand, how many of us thank others enough for their hard work? 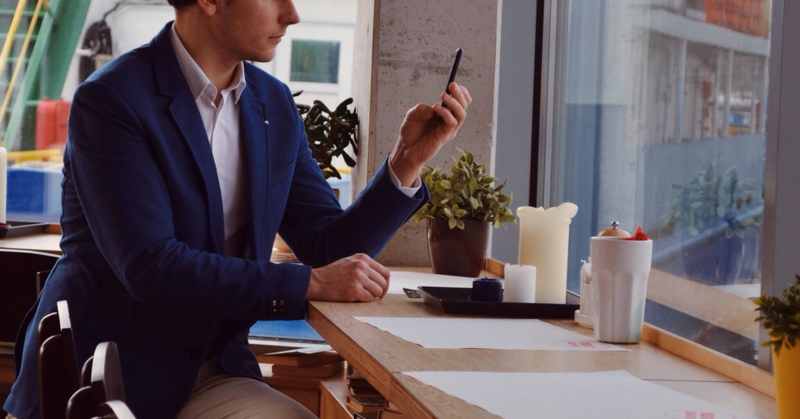 Dan Schawbel, writing in Forbes, highlights what some salespeople are afraid to mention to their colleagues — that some meetings are simply a waste of time. Also, sometimes we have meetings for the sake of having meetings. Accordingly, Schawbel advocates fewer but more structured meetings. He also says that it’s essential for companies to encourage employees to have more downtime so they can network. Sales Motivation Tip: How many of the meetings on your calendar are really necessary? While we wouldn’t go so far as to encourage interoffice romances, there is some heft to the idea that employees that play together work well together. In Entrepreneur, Jayson DeMers, the CEO of internet marketing company AudienceBloom, is firmly on the side of offsite social events for employees, saying that they help improve team building and office relationships. In another Entrepreneur article, Stefanie Daneau writes that small perks such as these go a long way to keeping morale high. She suggests surprising your team by bringing them breakfast or taking them out for an unscheduled lunch. Sometimes it’s the simplest, smallest things that can have a profound effect. Sales Motivation Tip: In the name of fun and working better together, what extracurricular activity can you offer your sales team and charge as a team-building expense? Uncertainty at work, especially when it relates to what’s expected of you, can be frustrating and demoralizing. In Inc. magazine, Justin Bariso offers one of those nuggets of advice that seem so obvious that it shouldn’t need to be mentioned, but it does: How it is of utmost importance to clearly communicating with your employees what you expect of them. Sales Motivation Tip: Check in with your direct reports. Is there a possibility that they’re unclear of what you’re expecting of them? Molly Owens, CEO of Truity, a service that links personality types with ideal careers, offers an elementary way to keep employees happy is to learn more about them. As a starter, Owens recommends you take the time to learn the strengths and weaknesses of your employees. Citing a 2015 survey by the Values in Action Institute, she connects this to a more energized and engaged workforce. One way of bringing awareness to your happiness levels is to map your happiness. Karl Staib says happiness at work is tricky. He recommends listing the feelings you want to have at work, then writing actions that bring about those feelings. Then pin that document in a place where you’ll see it often, such as on your cubicle wall. Sales Motivation Tip: Whenever you’re unhappy, revisit your happiness map and put the focus back on what makes you happy. Ariana Ayu, CEO of a branding company Ayutopia International, maintains in Inc. magazine that not only should we encourage employees to step away from their work stations, but also to support them going to the gym together. Exercising together builds morale and helps co-workers get to know each other better. Sales Motivation Tip: Most people don’t want to lift weights or do yoga with coworkers. If exercising together is an unrealistic goal for your salespeople, consider springing for their gym memberships. Whether you’re tracking leads, using your sales skills to raise funds, teaching your team about the power of yes, managing customer success, or transitioning your team to focusing more on activities that drive sales forward, you should take happiness into account. A workplace committed to encouraging happiness won’t only lead to increased productivity and revenue, it’ll also result in a dynamic culture where your coworkers will look forward to coming to work.